So simple! 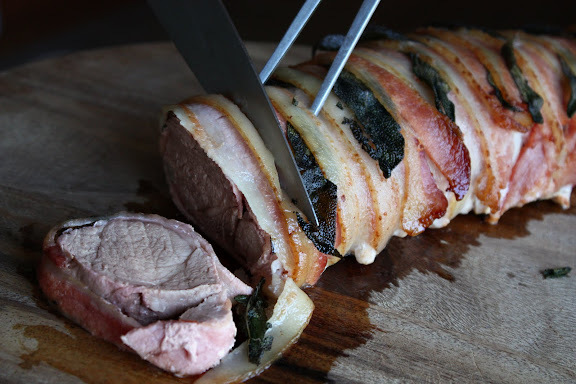 Wrap pork loins with slices of bacon; stick fresh sage leaves in between the bacon pieces; roast. This recipe costs a little, but feeds a lot. Oh, and it's delicious, too. Check out the recipe for bacon-wrapper pork roast with sage on She Simmers.